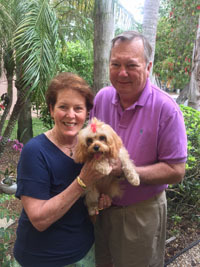 We engaged Lindy Nolan to help us train our little Cavapoopuppy, Lizzy with some “Southern Manners”. Lindy has been coming to our home once a week for 5 weeks. We have seen amazing and positive improvements in Lizzy’s behavior. 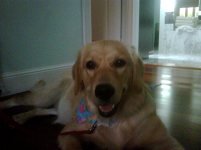 Lizzy has a sweet personality and has responded quickly to the demands of her training which Lindy has introduced. We are very pleased with Lindy’s program and Lizzy is always happy to see Lindy arrive!!! Last week, we were out of town for 5 days and asked Lindy to keep Lizzy for us, which she did. While away, Lindy kept daily contact with us as well as sent videos of Lizzy playing. While Lizzy was there, Lindy continued working with Lizzy in her training but also cuddled with her and was very attentive. I don’t think Lizzy missed us very much with the friendship also of Lindy’s dog, Tulie and cat, Emmett…..they were playing constantly!!!! Dear Lindy-- It's hard for me to put into words how grateful we are to you for the incredible training that you and your staff have provided for me and our dog Bella. Before we started working with you, we had a horrible problem. We not only didn't know what to do about it, but worse yet, didn't think that any solution was possible. 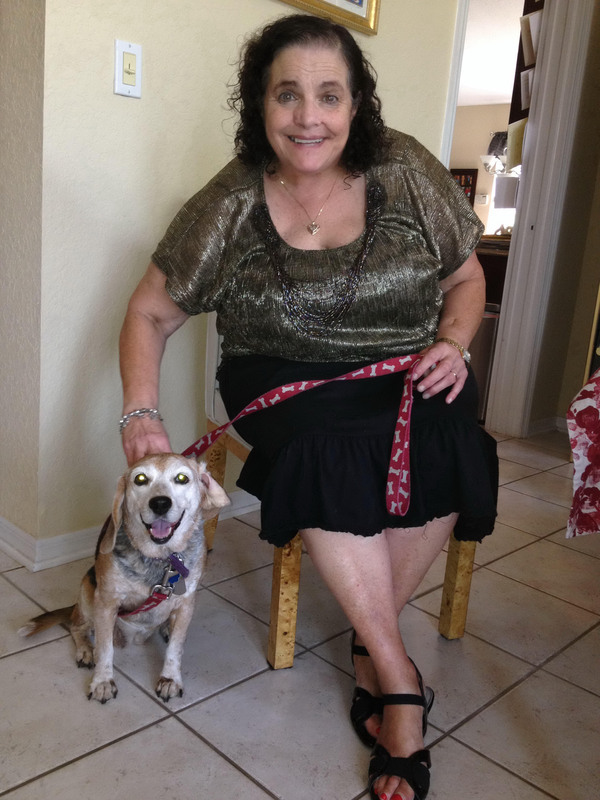 Our dog Bella is a sweet, good natured, nine years old female beagle. Everyone in our family adores Bella. We have had Bella since she was four. When we got her, we were told that she was house broken. But the bottom line is that she was not. Embarrassing to say, but she was doing her business pretty much at will, inside and out. We blamed ourselves and we made all kinds of excuses for it. We thought that we just weren't walking her enough or weren't walking her at the right time or that she was just too old to cooperate. We tried everything, from different walking schedules to wee-wee pads to diapers, but nothing worked. We were mopping up messes and it was no way to live. Worse yet, the older she got, the less we thought that anything could really be done about it. After all, everyone knows that "You can't teach an old dog new tricks." But then we heard about Lindy Nolan, the dog trainer and everything changed. We've been working with you for the last 2 months and the messes are gone! You've taught us a whole new approach to having a dog and Bella has learned to do her business in a particular spot behind the house the instant we take her there. What a difference! Additionally she's in the process of learning to ring a bell to let us know when she needs to go out. In the past, that would have seemed absolutely impossible. But with the training we're receiving from you and your staff, we are now absolutely confident that that will happen soon. She's also learning not to steal food and to leave the garbage alone. We've also learned new games that we can play with Bella that have given us a more playful relationship with our dog. There seems to be a new miracle each week. Thanks so much for all that you've done to create the fun, but obedient relationship that we've always wanted with our dog and for helping us to teach our older dog so many important new tricks. We were so lucky to find Lindy. She has really helped everyone in the family to learn how to be good dog owners and dog trainers. Sport is growing onto such a well behaved dog because of her teaching. What a pleasure to work with such a nice person. You can't get that kind of coaching from a book. Thank you for all you have taught Carly and our family! We could not have done it without you. You are, by far, the best dog trainer ever! We had the unfortunate experience of working a trainer in the past who not only did not teach us much of anything useful, but also did not seem to even enjoy what she was doing. You have it all: knowl ed ge, expertise, personality, professionalism, enthusiasm and above all, a genuine love for what you do. These traits literally explode when you work with Carly. She loves you! She loves doing all of her tricks and commands you taught her with the clicker and our family learn ed so much from you. Carly is the wonderful dog she is today mostly because of YOU. We cannot thank you enough. You are worth every penny! I will continue to recommend your (brilliant) services to all of my friends. Dear Lindy, We just had to thank you for helping us train our 10 month old collie "Dasher". He was such a stubborn dog and set in his ways. Then you came along. You taught us dog language in the sense of the word. You were able to get him to listen from the start. We were amazed then and still remain amazed today. It's been almost five years since we first started training with you and he is still very well behaved and looks to us for commands and approval. We recently moved away from Florida and settled in a nice suburban neighborhood. Everybody has dogs. Occasionally we will come across a dog with bad manners and people always ask us "How do you get your dog to listen to you"? We just smile and say we had him trained by the "best trainer in Florida". Dasher is now a big brother to our new four month old Golden-doodle "Dixie". Our Collie is so well trained that when we train our Golden-doodle our Collie follows every command too. Our lives are so much more structured because of the management of the dogs. We think of you often when there is a situation and ask ourselves "What would Lindy do? Thanks again for all your help. Dog people, no doubt, love their dog(s). The key to any successful relationship, human or canine, is learning the skill of communication and understanding. Once this is accomplished, one will enjoy the benefits of a unified home environment, delightful “field trips” and bragging rights. Lindy Nolan has provided me with the required tools to be successful in my communication and training skills with Mack, my Labrador Retriever. There are various training methods; however, Lindy demonstrates that positive reinforcement is the essential tool in the training process. Her classes are well structured and keeps everybody, both dog and human, on their toes. 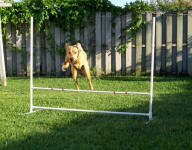 She provides the guidance and knowledge to achieve any goal you might want to reach with your canine friend. Being the owner of an extremely misunderstood breed, having a well-mannered dog was of the up most importance to me. So when we brought our boy Marley home, the first thing on the agenda was signing him up for puppy classes. Long before we brought him home I was researching training methods, and decided that the positive reinforcement style of training was going to be a lot more fun than traditional jerk and pull. So I called up Lindy and now Marley is well on his way to passing his CGC test. He is a gentleman in the making and I’m thrilled with how quickly he’s learning. The best part is that he loves it too. As soon as he sees the clicker, the wheels start turning in his blocky little head; “Do you want me to sit? Or lie down? How about if I go over to my mat? Rollover? Give you five? Maybe you want me to pick up that pen for you?” He loves working for the “click” and I love having a puppy that throws behaviors at me. Lindy is truly fantastic; she really helps you build up the behavior in easily obtainable steps, and makes it fun! 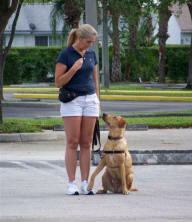 Her classes are enjoyable as she brings energy to them that get both the dogs and owners motivated. She has great assortment of training tips, games, and pointers to help you along the way- and her weekly homework assignments make sure that you stay on track. 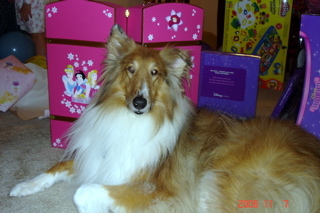 Her dog Murphy puts Lassie to shame and is a shining example of Lindy’s commitment to dogs and training. 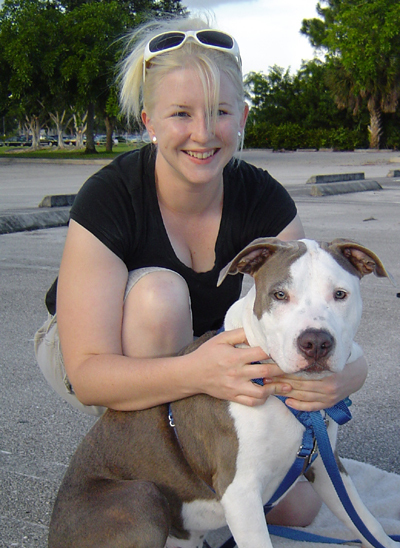 She is truly a great trainer and an invaluable resource for anyone who owns a dog. We have a puppy that is a Wheaton Mix that we got from the shelter. We signed up for Puppy Training through the community classes at a high school. After two classes we quit because it was very aggressive and forceful training, ie, choke chains, intimidation, etc. Our vet recommended Lindy and we called and signed up for Puppy Kindergarten. What A Difference!! The knowledge and experience that Lindy and her staff had was awesome! Everything was explained in detail regarding the different commands and disciplines and why they worked and how they made sense. 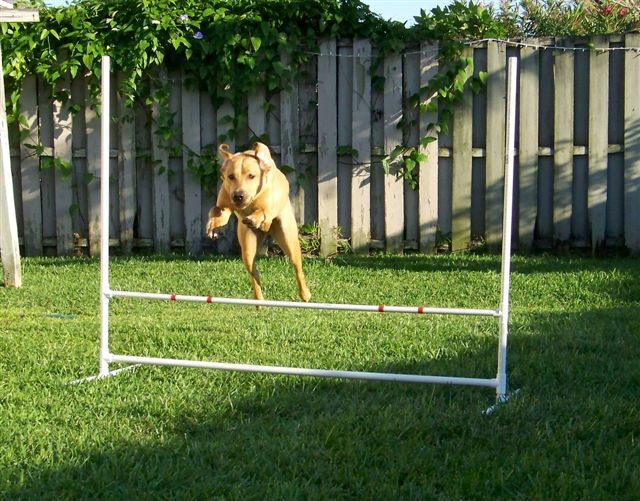 That is extremely important when training a dog. 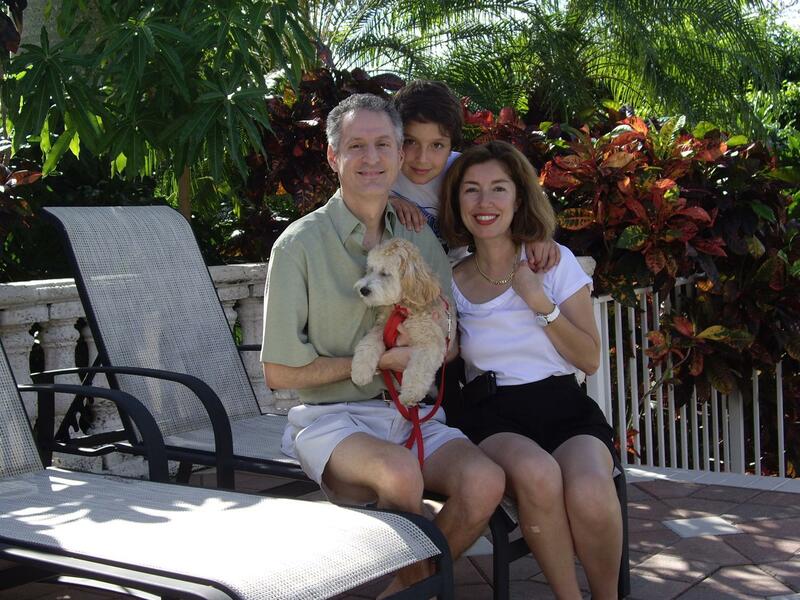 With our previous dog of 14 yrs. we had used Canine Counselors and others for training and thought that was good, but now we know the difference. The positive approach that Lindy uses is practical, loving and long lasting and most of all it WORKS! Lindy's dedication and passion is very obvious from the moment you meet her. Our puppy is EXTREMELY stubborn and has had so much success using Lindy's methods. 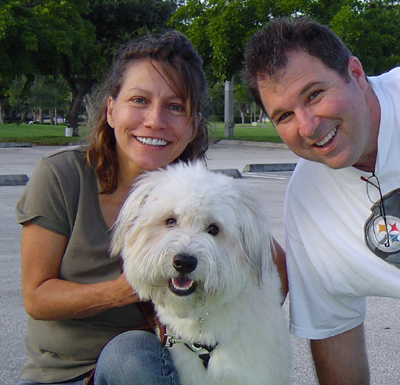 Lindy Nolan Dog Obedience, Inc. is the place to bring your puppy/dog for the BEST Education that will serve you well in your relationship with your "best friend". 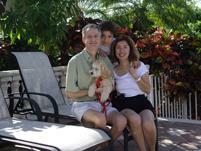 Linda & Mike Bowman and Brodie too!